Welcome! Thanks for coming by – we are always happy to get a visit from patients or their relatives and new friends. Our goal and our passion has always been to provide a patient-focussed radio service to those in Perth Royal Infirmary. We believe that our 35-strong team of volunteers bring a modern, professional and fun attitude to this. listening to Hospital Radio Perth, we'd love to hear how we did and how you think we can improve. Patient's music requests are the bedrock of our service. You can have a song played for someone in Perth Royal Infirmary by sending us an email or by texting 01738 440044. These days you can also listen in on the internet. Tune in to our programmes by clicking on the LISTEN LIVE button above. If you enjoy our service, why not become part of our organisation, you can contact us by clicking on the CONTACT US or JOIN US buttons at the top of the page. We'd be delighted to invite you along for a visit. Hospital Radio Perth - Making The Day Smile! 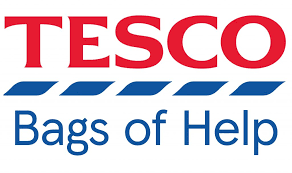 Hospital Radio Perth has been shortlisted for a public vote in Tesco’s Bags Of Help initiative! Vote for us to win the top prize in store! All Perth and Scone stores during March and April. Just pop your token in the HRP slot. Easy!